Too, too many travelers cruise into town, having heard something about Murano Glass, perhaps reading a blurb in their guidebook, wondering whether it would merit a few precious hours of their limited time to delve further. Up to now their choices have been either a “free” taxi offered along the Riva or at their lodging (never recommended), hiring an expensive private guide, or visiting on their own and hoping for the best. If you don’t know filigrano from sommerso, Seguso from Tagliapietra, or murrine from conterie from perle…where do you start? Never fear, you now how have a quality, reasonably-priced alternative for discovering the fascinating, multi-dimensional beauty of Murano art glass. The Fondazione Musei Civici di Venezia has teamed up with the Abate Zanetti Scuola del Vetro to offer GLASS in ACTION, an in-depth, multifaceted look at the Murano glass from its origins to the present day. This creative tour recounts the story of glass “in reverse.” You’ll begin at the Museo del Vetro, viewing glass artifacts from ancient Rome, an extensive representation of the glass making process, the finished works of Renaissance Murano, and the expanded creativity modern masters, in all of their skillful and artistic complexity. You’ll then “return” to experience glass as artistic medium, “molten mass, unformed and uncolored,” at the Scuola del Vetro, for a glass working demonstration with a master vetraio, and the viewing of a short documentary film. The image of Murano and its glass have suffered in recent decades with scandals of non-stop corruption, imitation glass, price-gouging, and more. It’s a pleasure to see the Musei offering the traveler the possibility to learn more about an art form that is as compelling for its history as it is for the beauty and variety displayed in the artisans’ works. Perhaps it will become as popular as the Doge’s Palace Secret Itineraries, who knows? No need to reserve in advance, however: you must book the second half of the visit (the furnace) at the ticket office immediately on arrival for the Museum tour. This entry was posted in Sightseeing Venice, Venice Instructions, Worth Noting and tagged glass, glass demonstrations, murano, murano art glass, tours, venice on November 16, 2010 by Living Venice. That’s a very informative tour! Is it still going on? 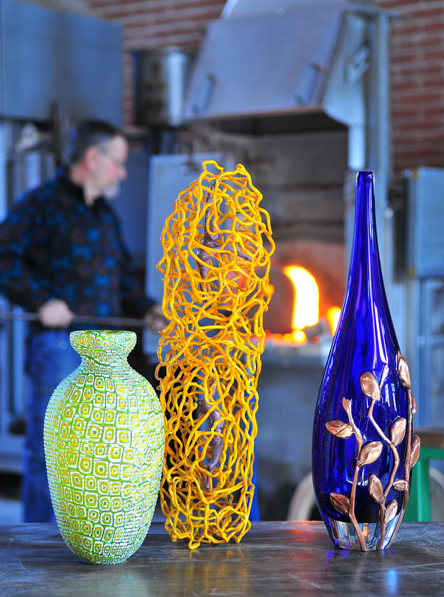 I believe even after so many adversities, Murano glass will be able to sustain its existence for many more centuries. Thanks!